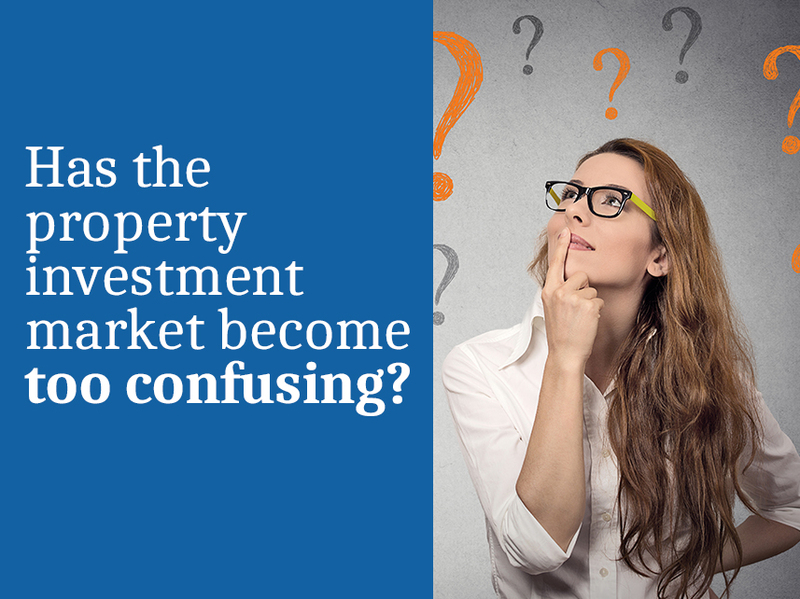 Has the property investment market become too confusing? Changes to property investment loans in Australia have dominated finance news over the past few months. Barely a week goes by without yet another financial institution announcing changes to their investment loan interest rates or lending criteria. So what does this mean for YOU, a current or potential consumer of finance products? Well if feedback across the industry is anything to go by it would seem it is mostly CONFUSION! Let’s take a look at the changes that have occurred and break it down into simple language. In recent months APRA (the Australian Prudential Regulation Authority) pressured banks and other lenders to make it more difficult to finance a property investment loan. The reason for this move is that APRA set a benchmark of 10% maximum growth for residential investment mortgages. The big banks were beginning to exceed this benchmark level – hence the action by APRA. By taking these measures APRA is attempting to make property market conditions safer for consumers. Rapid growth in property investment lending can be perceived as risky as investors may be placing ‘all their eggs in one basket’ rather than having investment diversification. What do the changes mean for investors? Probably the biggest impact is that property investors will now require bigger deposits as banks restrict LVR (loan to value ratio). If you are a potential investor it is important to remember that interest rates are still at their lowest level in history. With the property investment market constantly in the news it is easy to get caught up in the hype and overlook the positives that may still make it a prudent time to take the step onto the property investment ladder – despite tightened lending criteria and the larger deposit required. Many lenders are aggressively marketing to existing customers with updates and news on how the changes affect them and the range of finance products they offer. Certainly most people with a current investment or interest only loan will have already had a letter from their lender regarding changes to their loan. It is important to note some lenders are only ‘penalising’ Sydney and Melbourne investors with stricter criteria due to the higher investment activity in these cities. Remember you will only be given an overview of YOUR current lender’s products in any communication. Some lenders are not allowing investors with a current investment property to use the existing equity in that property to leverage for further investments where the LVR falls outside the 80% LVR benchmark – effectively forcing them to refinance. If the changes have prompted you to think about switching to another loan or even another lender – PLEASE CONTACT US FIRST. Refinancing or switching loans should include consideration of your full financial situation and explore the full range of available products to suit your particular situation. Had your investor home loan a while? Lenders are also reporting an increase in customers changing investor home loans to owner occupied*. Investor rates are now higher than owner occupier rates for the first time since the 1990s. Are you now living in a property that may have previously been rented out? If so, you could be sitting on an interest rate that is higher than it should be. Make sure you talk to us NOW and we can help you explore your options. What do the changes mean for owner occupier buyers? Predictions are that the owner occupier market will increase as a result of tightened criteria for property investment loans. Many lenders have recently announced a raft of changes to new owner occupier loans including lower interest rates, cashback offers and the waiving of annual fees. A more complex lending environment makes it more important than ever for us, as your finance specialist, to guide you through the confusion around the regulatory changes and how they may affect you. We stay well informed on the changing landscape of lending so that we can continue to offer you up to date information. January and February are traditionally the months we see a peak in job seeking activity1. Perhaps a consequence of all those new year’s resolutions for self improvement? Research shows Gen Y is now actively exploring and entering the property market. They are also well known as the job hopping generation with an average of just 20 to 32 months in a job2. In fact, the national average job tenure across all age groups is now 3.3 years. Today’s job market is a far cry from the days of a ‘job for life’. 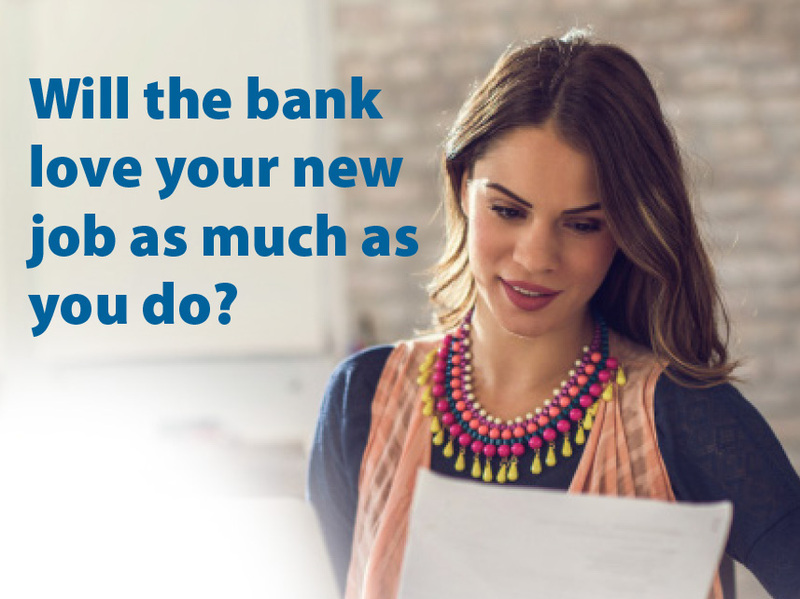 So what impact does a new job have on your ability to be approved for a home loan? For younger generations, a stable job with a secure income can sometimes be the catalyst to buying your first home or investment property. But although you may be delighted with your exciting new job, your lender may not be quite so happy. These factors influence the lender’s assessment of whether you are a good credit risk. They tend to prefer applicants who have a stable employment history with 1 to 2 years of steady or increasing income to determine the loan amount you are capable of repaying. Switching jobs shortly before or after applying for a mortgage may make it harder to qualify. Most lenders prefer you to be in your current position for 6 to 12 months to borrow 80% of the property value. There ARE a few lenders who allow you to borrow up to 95% of the value of the property (for an owner occupier loan) – sometimes even if you have just started a new job. Are there lenders who can help? Many lenders now understand younger generations are in high demand, are highly skilled and are career opportunists who actively change jobs to seek a higher salary or better working conditions. Not all lenders require you to be in your job for more than a year and some are tailoring products and qualifying criteria to meet these new norms. What if I’ve only been in my job for 1 month? Some banks recognise that despite a short employment history, many individuals are in a strong financial position and have industry experience. Your length of time in a job will be less of an issue if you have other sources of income, eg investments, royalties, second jobs etc. The lender may need proof this income has been steady for a couple of years and that you expect it to continue. What if I am changing my career? If you are considering a career change or have recently changed jobs, it does not necessarily mean you need to put your borrowing plans on hold. Increase your lending options by talking to us when you first start thinking about any life changes and definitely before making any decisions. Do you move house often? The stability of your home address is also considered, along with many other factors in lenders’ sophisticated credit scoring analyses to assess whether you are a good long term risk. If you are currently renting and planning to seek finance soon, speak to us before your next move to allow us to prepare your application in the most positive light. We can generally find a lender who will help, however if you are changing to a completely new industry or role then this will certainly reduce your chances of securing an approval. That’s WHY you need us to help! What do the banks think? Most lenders won’t approve a loan during the process of switching to a new employer but there are some that may consider approving your home loan before you have commenced your new role. If you can show stability with your prior employers they may take the view you are moving to a new employer to take advantage of a better salary or working conditions. TALK TO US! Our role as your finance specialist is to keep up to date with the constantly changing borrowing criteria of most lending institutions so we can suggest a solution for your individual situation. 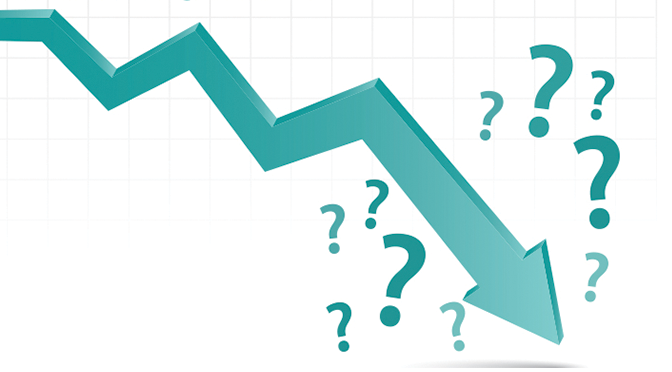 ‘Bottom of the curve’ is a term often used to describe the point where interest rates may have hit their lowest point over a period of time. The Reserve Bank of Australia (RBA) began dropping the cash rate in November 2011 eventually reaching an all-time historical low of 2.00% in May 2015 – where it has remained. There has been much debate in the media and amongst economists about whether the RBA will drop the cash rate even lower. Australia has enjoyed low and relatively stable interest rates for so long now it is tempting to think they will continue forever. How has the market changed? The RBA is responsible for formulating and implementing monetary policy to achieve the objectives of meeting inflation targets, stabilty of the Australian currency, full employment and the economic prosperity of the people of Australia. Historically, interest rates set by the banks have tended to move in line with the RBA cash rate however in recent years a number of lending institutions have moved interest rates independently of the RBA cash rate decision. In fact we have recently seen various lenders raising interest rates despite the cash rate remaining low. Probably the biggest impact is that property investors will now require larger deposits as banks restrict LVR (loan to value ratio). It is important to remember interest rates are at their lowest level in history. Depending on your personal circumstances it may still be a good time to invest in property despite the tightened lending criteria and larger deposit required. Remember there are still some lenders that often have softer lending criteria – we can help you with this. So where will it go from here? Nobody really knows but be aware that rates are cyclical – at some point they will eventually start to rise again. The concern is that last time the cash rate began to rise a significant increase occurred over a relatively short space of time. We all know that generally when the cash rate increases, so do interest rates. During the last rise many institutions consistently increased interest rates above the cash rate. What does this mean for home owners? The best advice? Don’t wait until rates start to increase to review your finances. Your financial situation is ever changing – as are both the finance and housing markets. It’s prudent to periodically review your mortgage and finances. As your finance specialist it is our job to stay well informed on the changing landscape of lending so we can continue to offer you up to date information. We do the research for you then help you assess your options. Ensuring you still have the most appropriate product shouldn’t be determined based purely on the rates on offer – it is important to have an expert explain the loan features of each product. No one wants to go into arrears, or even worse, default on a mortgage. Everyone – especially first home buyers who have never experienced mortgage stress – should speak to a mortgage broker or financial adviser about the appropriate strategies for their situation. It pays to put contingency plans in place before the inevitable rises occur. Loantime Finance Pty Ltd ACN 608 095 727 is a Corporate Credit Representative (Credit Representative No. 481630) of BLSSA Pty Ltd ACN 117 651 760 (Australian Credit Licence No. 391237).